On behalf of the organizing committee I invite you to attend the 5th Thomas Ashworth CTC & Liquid Biopsy Symposium 2018 to be held at the Aerial UTS Function Centre, Sydney, Australia. This elevated 7th floor space is a well designed conference venue located in the vibrant UTS Ultimo precinct close to Central Railway Station. We hope it will inspire both speakers and attendees to engage enthusiastically in the liquid biopsy discussion. The Symposium will run over 2 days enabling us to cover cutting-edge advances in liquid biopsy translational research and clinical practice. The program will begin at 9am on Thursday 27th, with registration from 8.30am, and close at 5pm on Friday 28th. The aim is to enrich our understanding of the clinical application of liquid biopsy to advance precision oncology and improve patient outcome, as well as provide critical insights into the metastatic process. An exciting line up of international speakers who are leaders in the field, along with national speakers from across Australia, will be showcasing their liquid biopsy research. ​Topics that will be explored include circulating tumour cells, exosomes, methylated ctDNA, machine learning for liquid biopsy, assay development, integration of liquid biopsy into clinical trials and precision oncology, treatment selection and monitoring as well as drug resistance monitoring. In addition, Roche Diagnostics invite you to attend a breakfast session (8-9am, Friday 28th) on The Future of NGS Liquid Biopsy. The seminars will cover the challenges of ctDNA analysis, the recent advances in NGS Liquid Biopsy, the future of the technology and the clinical utility of NGS Liquid Biopsy for cancer management. Please register your interest by clicking here. Finally, to encourage students and early career researchers, a Young Investigator Poster Session is integrated into the program and Rapid-fire talks will be selected from submitted poster abstracts. Awards will be given for the best poster and Rapid-fire talks. ​The organising committee maintains a philosophy of keeping registration costs as low as possible to encourage attendance and this is only possible due to the generous support of our sponsors. So please ensure to visit the exhibitor tables and check out their latest product offerings. We look forward to seeing you at the Symposium in September. 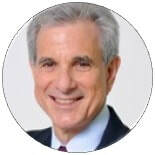 Professor Scher is Co-Chair, Center for Molecular Based Therapy; Head of the Biomarker Development Initiative; Member and Attending Physician, Genitourinary Oncology Service at Memorial Sloan Kettering Cancer Center (MSKCC); Professor of Medicine at the Weill Cornell Medical College; and the D. Wayne Calloway Chair in Urologic Oncology. Dr. Scher’s research is focused on the codevelopment of targeted therapies and biomarkers such as circulating tumor cells (CTCs) which can be used to guide treatment selection for the individual patient and improve the way drugs are evaluated in the clinic, accelerating regulatory approvals. Accordingly, he has led international efforts to standardize the design and analysis of phase II prostate cancer trials (PCWG2, PCWG3) and helped elucidate key molecular and genetic features of prostate cancer, translating these insights into the clinic by leading early phase and phase III registration trials of abiraterone acetate and enzalutamide which are now FDA approved. Dr. Scher received the 2015 AACR Team Science Award for his multidisciplinary work developing AR inhibitors. Dr. Evi Lianidou is Professor of Analytical Chemistry and Clinical Chemistry at the Department of Chemistry, University of Athens, Greece. Dr Lianidou has established a Molecular Diagnostics Laboratory focused on Liquid Biopsy at the Department of Chemistry since 1998. Her lab is specializing in the Analysis of Circulating Tumor Cells (ACTC), and has access to many patient samples through extensive clinical collaborations. Her main research interests are on the development and clinical evaluation of: a) single-plex and multiplex quantitative RT-qPCR assays for the detection and molecular characterization of CTCs, b) multiplex assays for gene expression in CTCs based on the liquid bead array, c) DNA methylation assays in CTCs and ctDNA, d) highly sensitive assays for mutation analysis in CTCs and in ctDNA, and e) evaluation of circulating miRNAs as tumor biomarkers in plasma. Dr. Lianidou is an elected member and Chair of the Committee for Clinical Molecular Biology Curriculum of the International Federation of Clinical Chemistry (IFCC). ​Dr. Sandhu is a medical oncologist with a full time appointment in uro-oncology and melanoma units at the Peter MacCallum Centre, Melbourne. 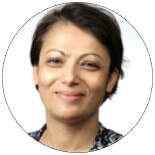 She trained at the Royal Marsden NHS Foundation Trusts/Institute of Cancer Research Drug Development Unit, and was responsible for designing, implementing and supervising early phase adaptive, biomarker driven trials. Over the course of her research career, Dr. Sandhu has made important original contributions to cancer research, particularly in the development and application of clinical biomarkers. She continues to undertake clinical and translational research in immune-oncology in melanoma and prostate cancer. 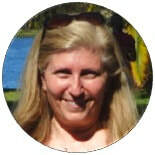 ​Dr Ellen Heitzer received her PhD in Molecular Biology in 2007 from the Medical University Graz. Prior to beginning her research at the Institute of Human Genetics, she worked as a Postdoc at the Department of Dermatology and the Division of Oncology, Medical University Graz. After a 6-months research stay at the Wellcome Trust Centre for Human Genetics at the University of Oxford, she received her degree as an Assistant Professor. Ellen published several journal articles, which reflect her interest in cell-free circulating tumor DNA. In the last years, she developed a number of untargeted methods for ctDNA analysis and her work was recognized with several national and international awards, e.g. BMC Cancer Research and Overall Award 2014. In addition to her work on circulating tumor-DNA she is involved in the routine diagnostics of hereditary diseases with the main focus on familial cancer syndromes.